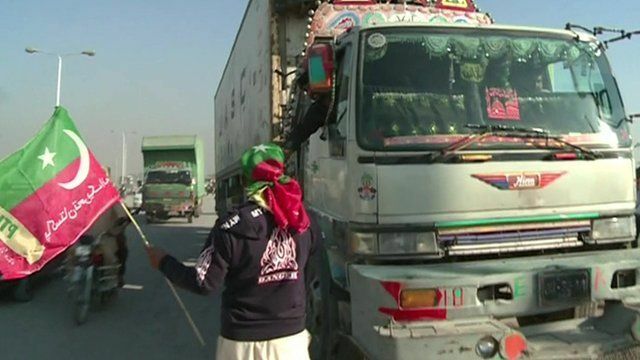 Pakistan protests block Nato supplies Jump to media player Protests against US drone strikes in Pakistan have begun targeting a border crossing near Peshawar - a key supply route for Nato troops in Afghanistan. Pakistan peace process 'targeted' Jump to media player Pakistani politician Imran Khan has called the killing of a Pakistan Taliban leader Hakimullah Mehsud by a US drone strike "a deliberate targeting of the peace process." 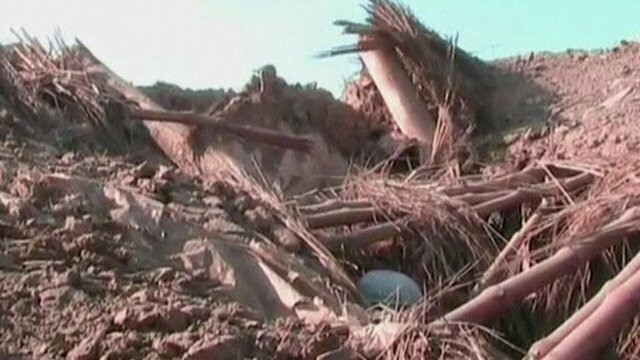 US drone kills six in Pakistan Jump to media player Officials in Pakistan have said a US drone attack on an Islamic seminary has killed at least six people. 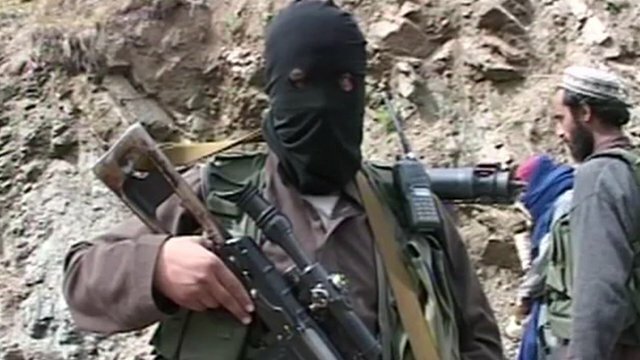 New Taliban leader 'notoriously brutal' Jump to media player The BBC has learned that the new leader of the Pakistan Taliban is a notoriously brutal commander whose fighters tried to kill the schoolgirl Malala Yusufzai. Protests against US drone strikes in Pakistan have begun targeting a border crossing near Peshawar - a key supply route for Nato troops in Afghanistan. The government says it does not support the protests but has so far chosen not to break it up. Aleem Maqbool reports from Peshawar.